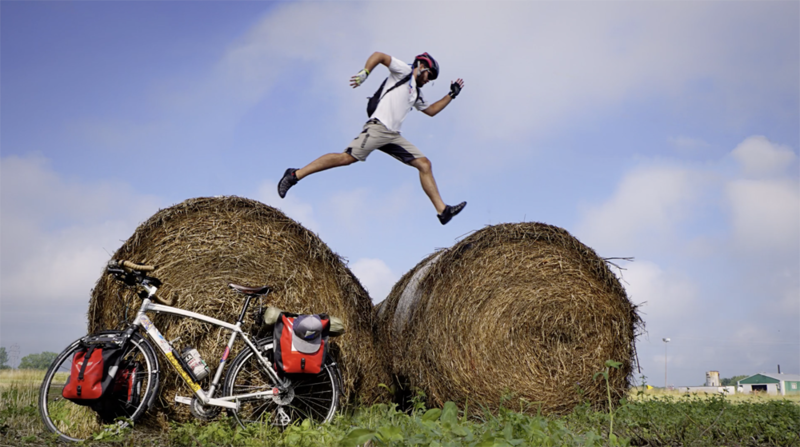 The 16th Annual Filmed by Bike features the world’s best bike movies with our most impressive collection of films and events to date. It’s a jam-packed weekend of bike rides, films, parties, awards, filmmaker chats and so much more. So how do you make the most of it all? Check out our Cheat Sheet with tips and tricks for having an awesome festival weekend. With 80 films, six programs, three days, a Filmmaker Bike Ride and more, there is a lot to see and do. A Festival Pass grants you access to it all, and you’ll save big. The Festival Pass allows you to reserve tickets in advance, and buy tickets for friends at the same time. And to keep you well fueled, you’ll also get 20% off at Laughing Planet Hollywood and a discount at Magnolia (across from the theater) and Vivienne Kitchen and Pantry (next to the theater). Filmmakers from all over the world are descending upon Portland for the 16th Annual festival. After Parties (every day), the Filmmaker Chat (Saturday) and the Filmmaker Ride (Sunday) are awesome opportunities to meet the filmmakers. We’re opening up the festival with the Base Camp Brewing Street Party on opening night. The party takes place in the street in front of the theater! Beer garden, XRAY.fm DJs, street dancers, live artists and so much more! This event is free and all ages. Most of all, we recommend you have fun! Make new bike loving friends, get inspired by the movies, and enjoy one of Portland’s most inventive arts and culture events.